Okay, all the CHAOS fleet is up. Very nice pictures! Must have taken alot of work, but it payed off! 4.7/5 mate. 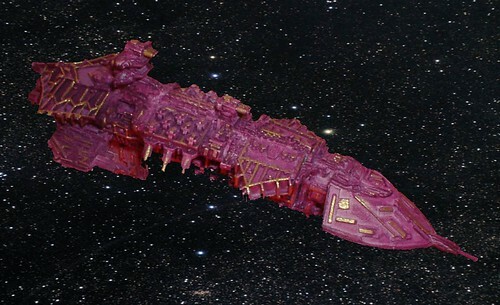 Very nice detailing but as everyone but Slaanesh knows: there is no room for pink in the 40th millenium! What god are they? And nicely done... Although is one of them scratch built? You know whihc one I mean!